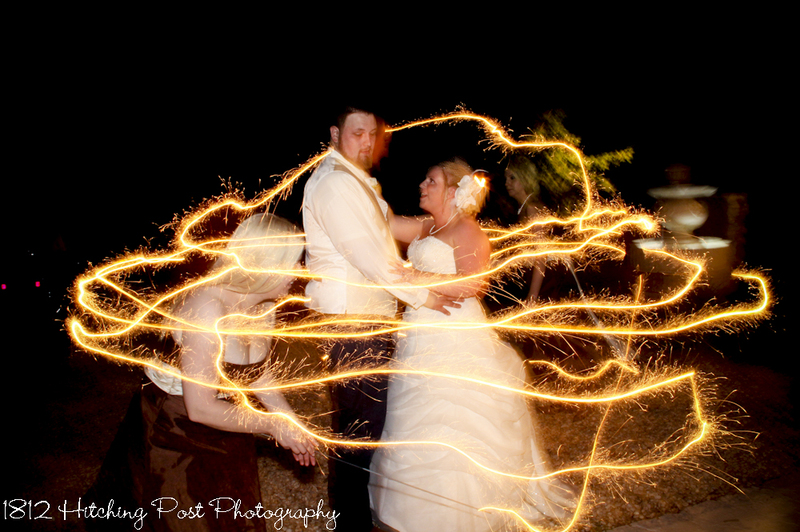 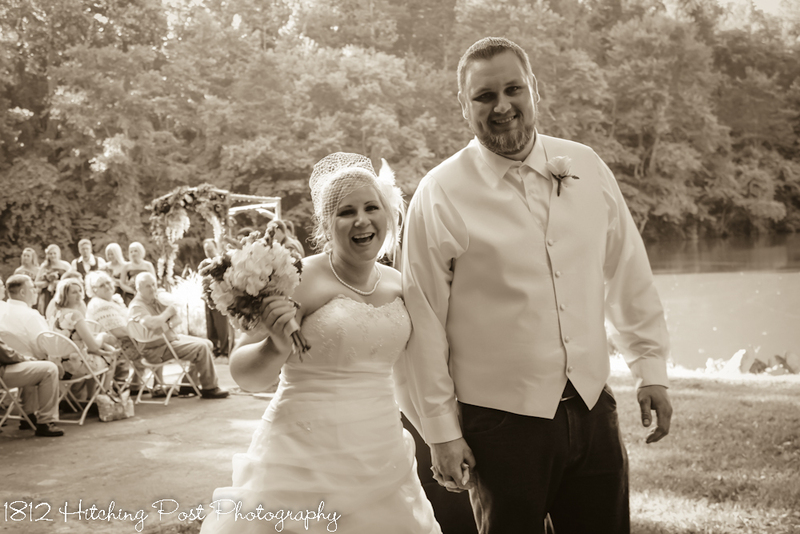 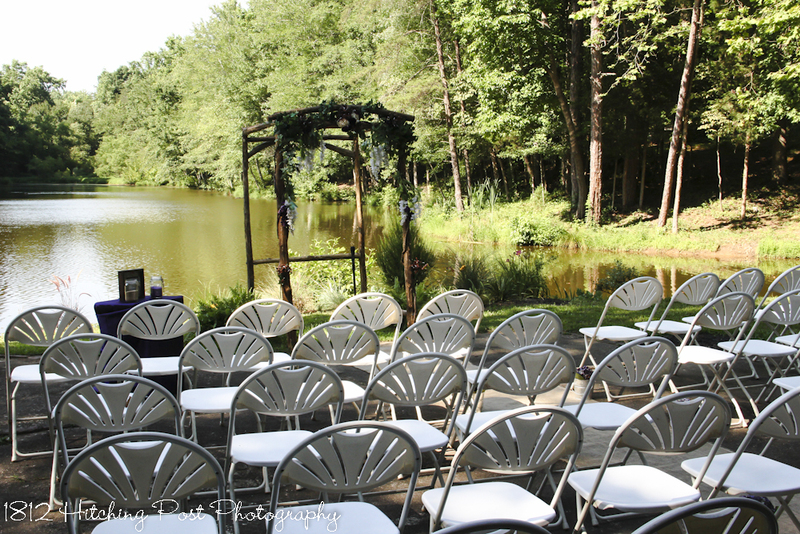 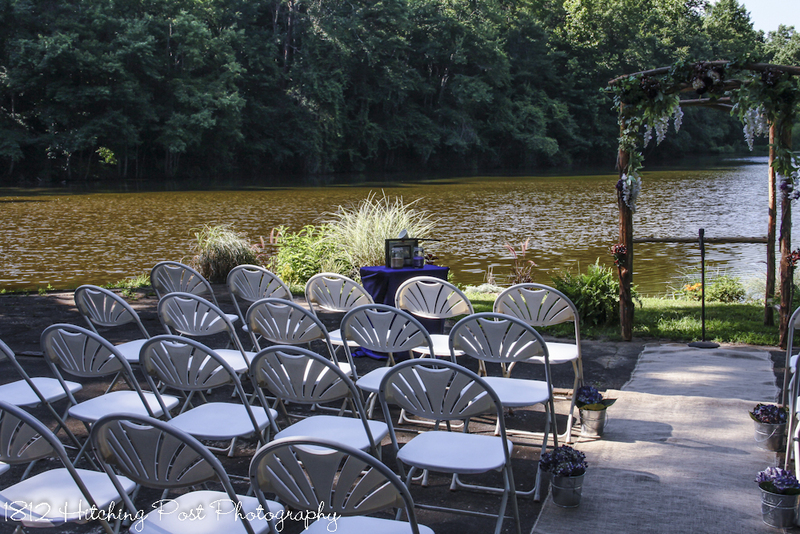 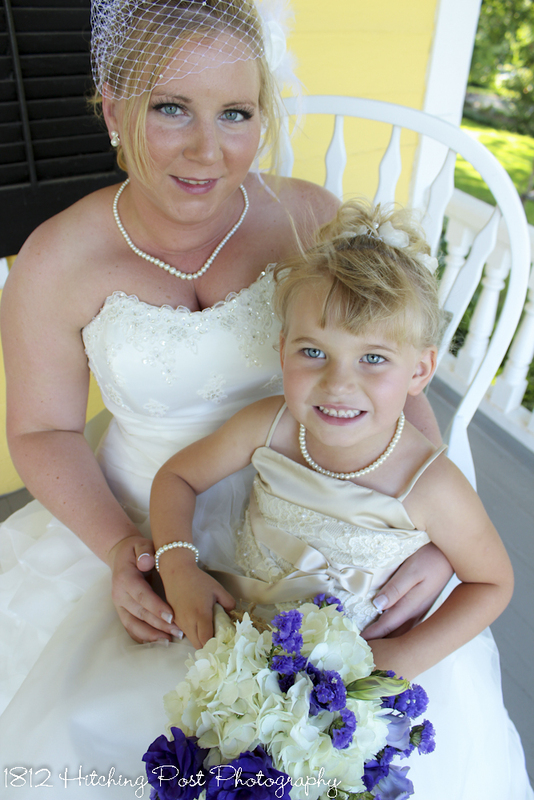 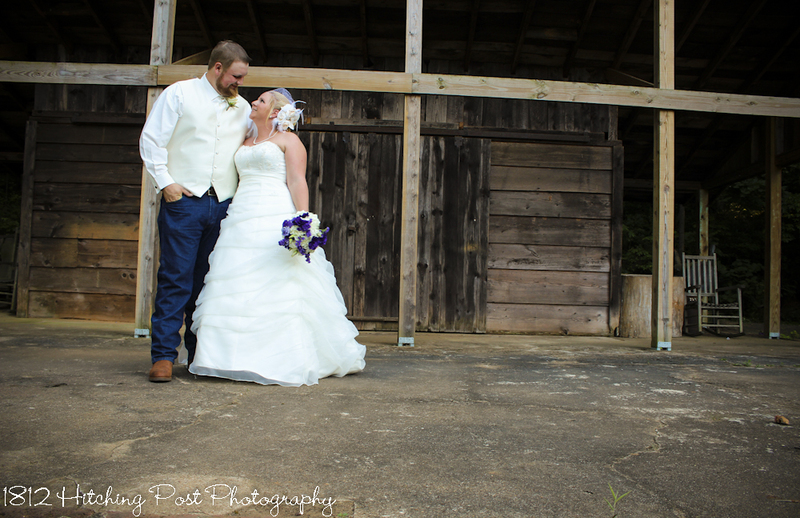 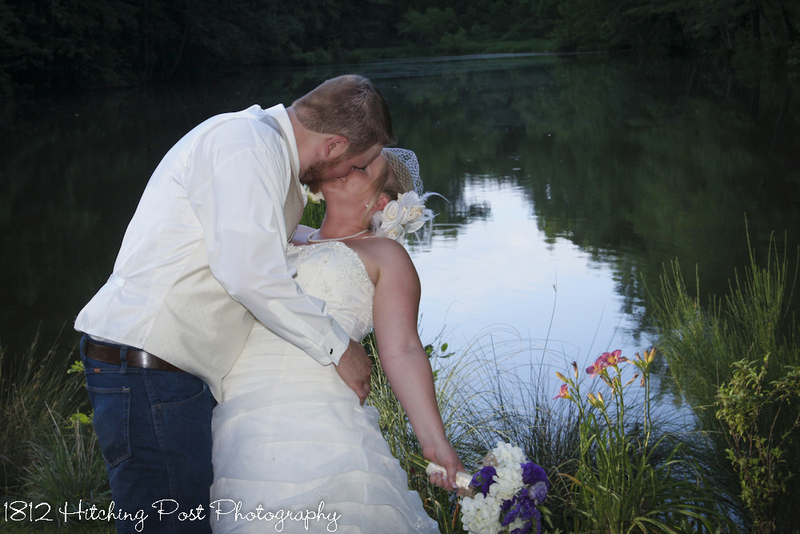 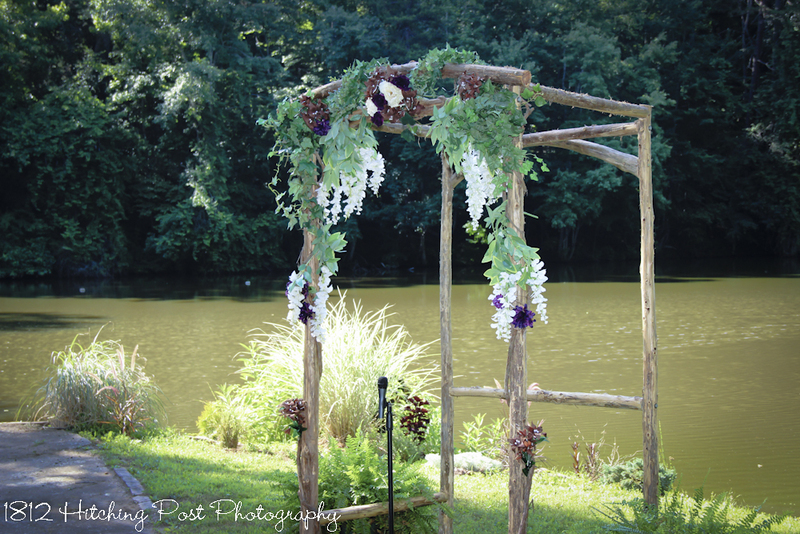 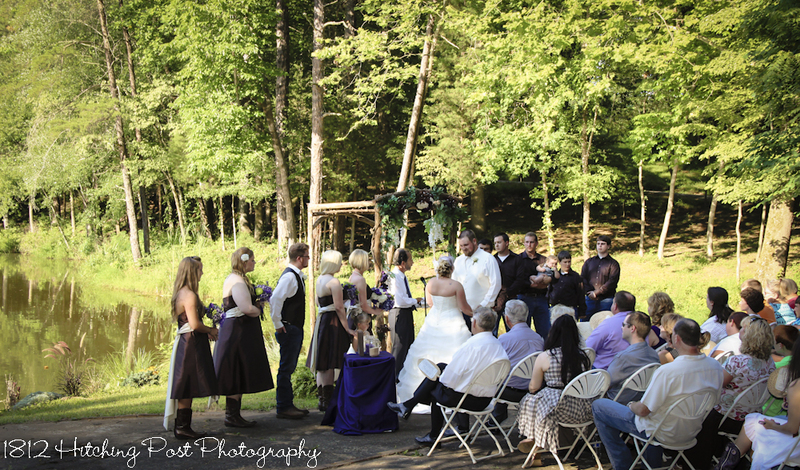 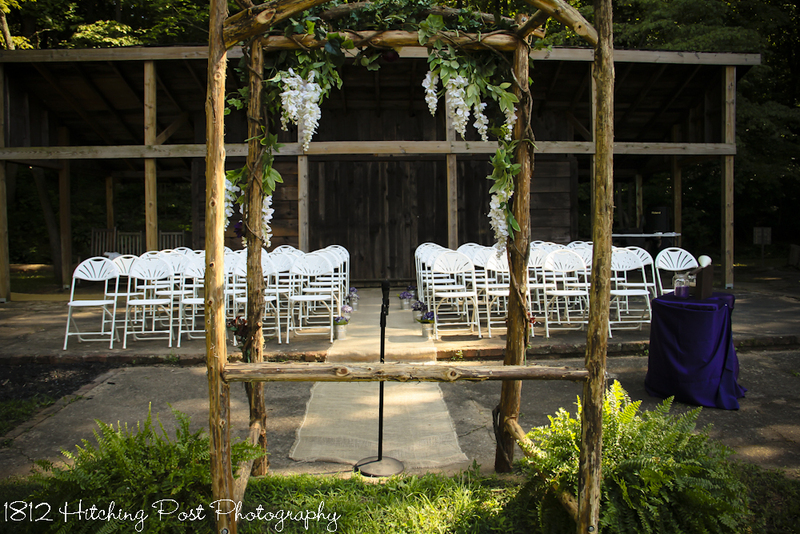 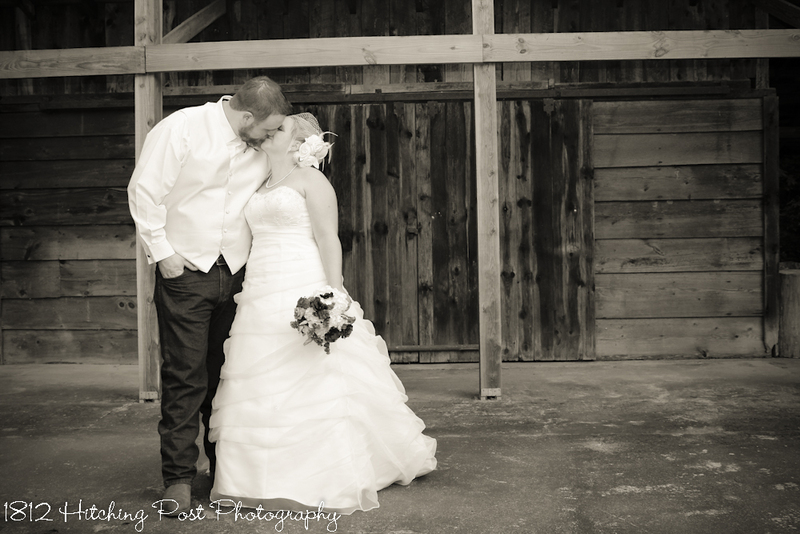 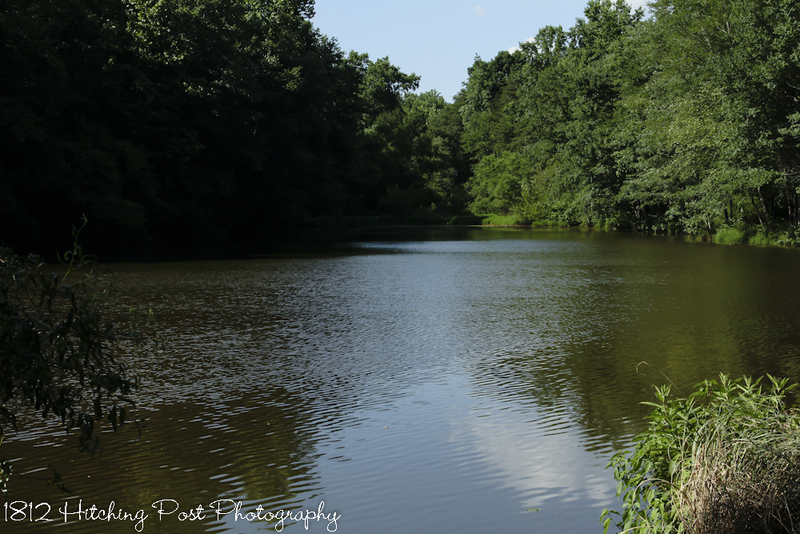 Kala and Greg chose to have their ceremony lakeside with about 60 guests. 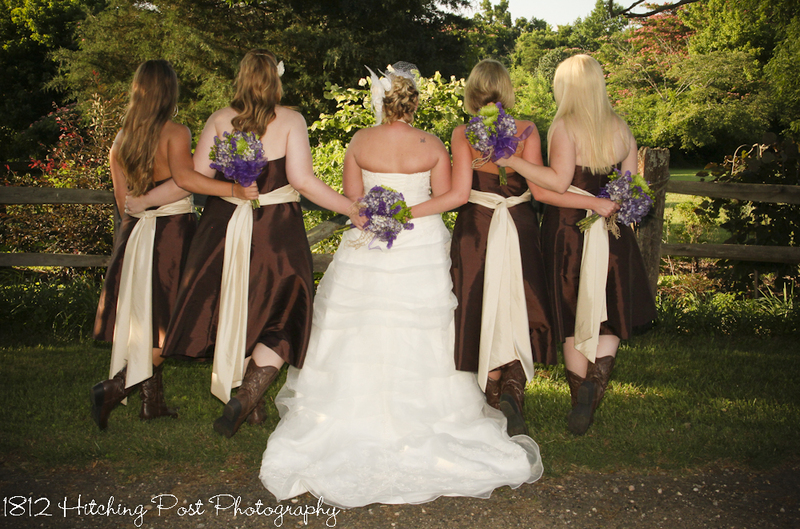 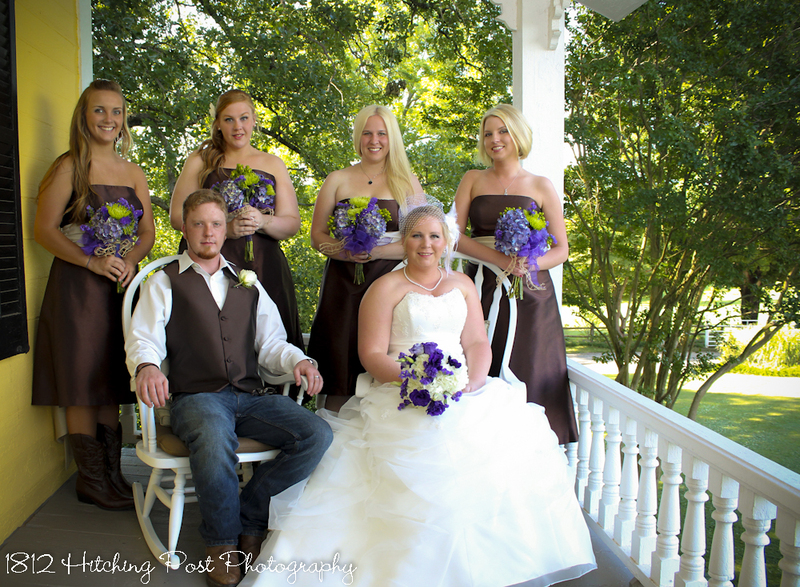 Kala’s bridesmaids wore brown gowns and cowboy books and carried deep purple hydrangeas. 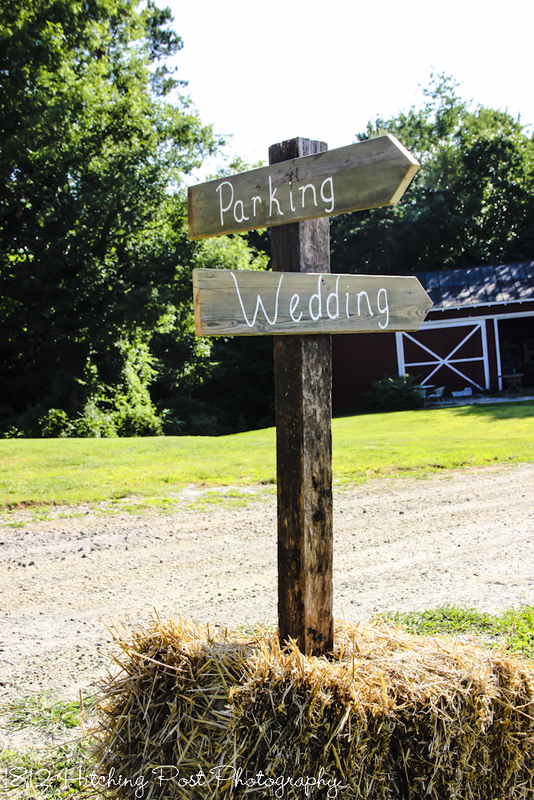 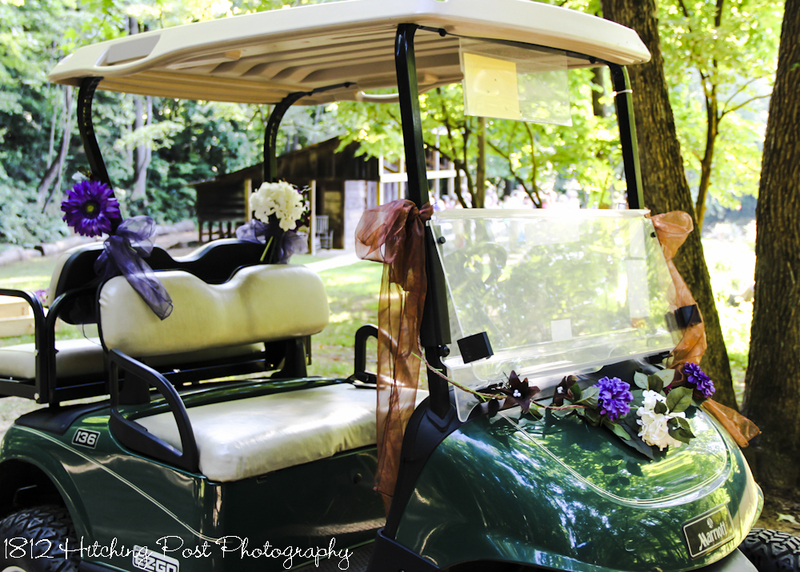 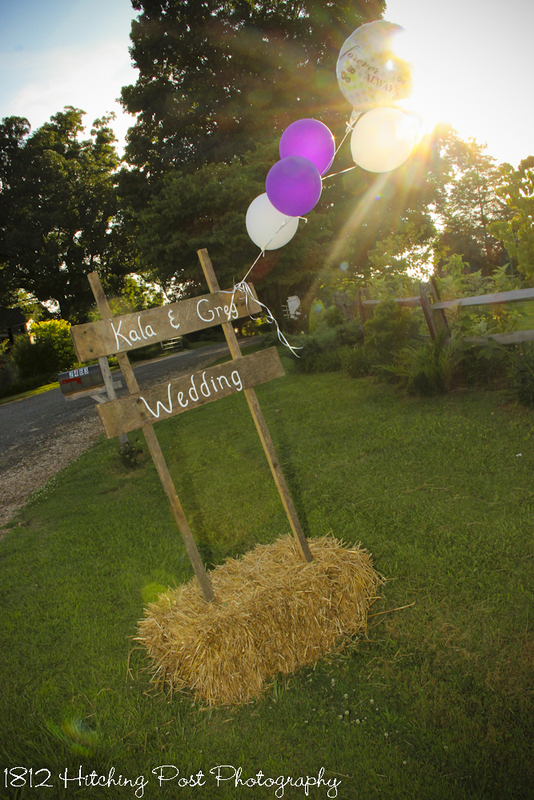 The guests were greeted with signs stuck in hay bales and all were transported by decorated golf carts to the ceremony venue. 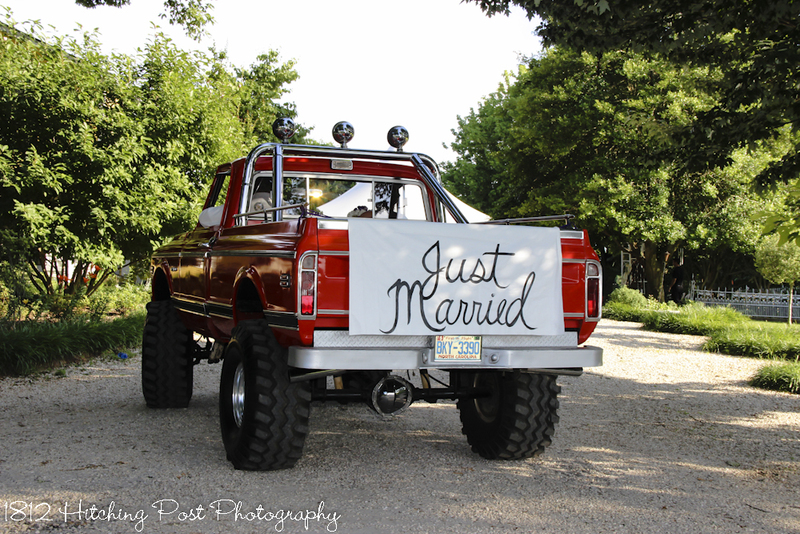 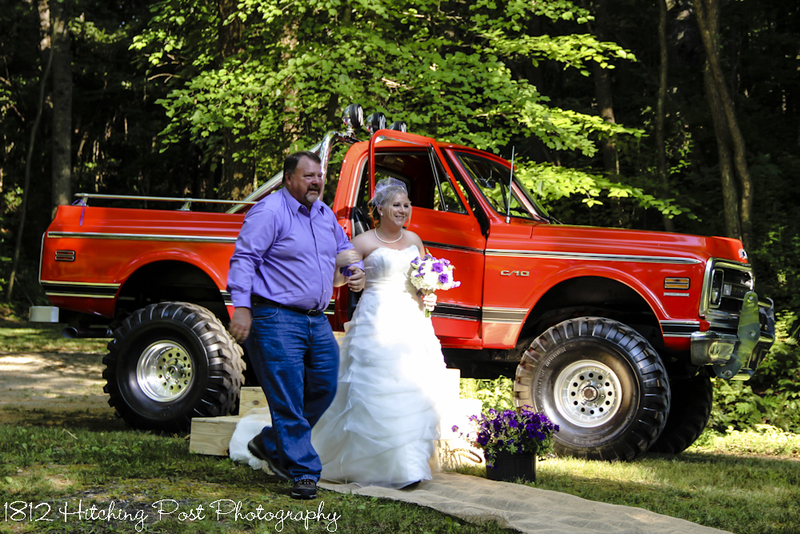 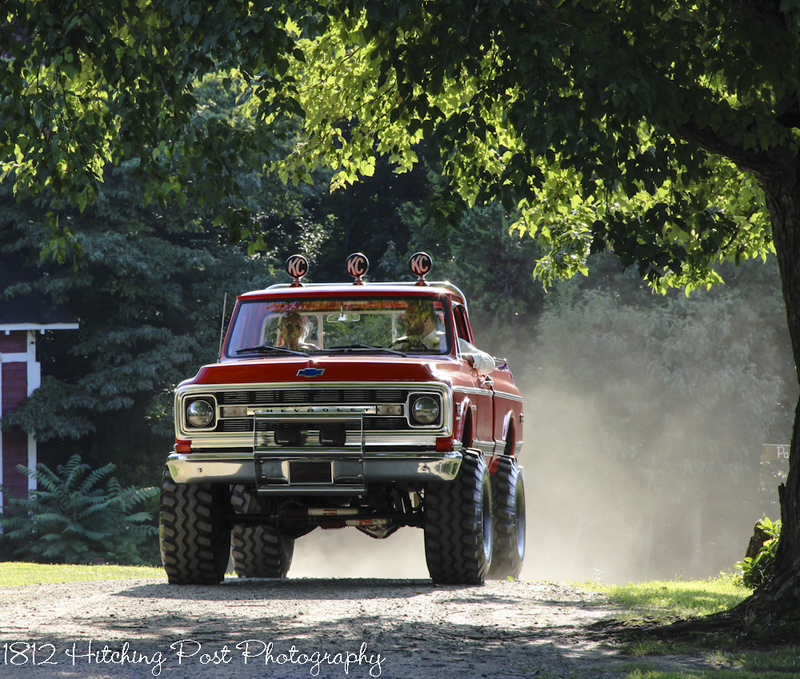 The bride arrived driven by her father in his truck. 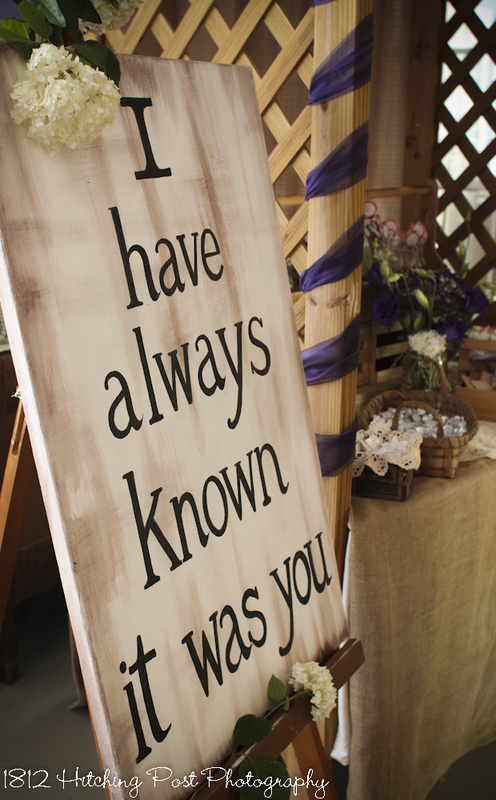 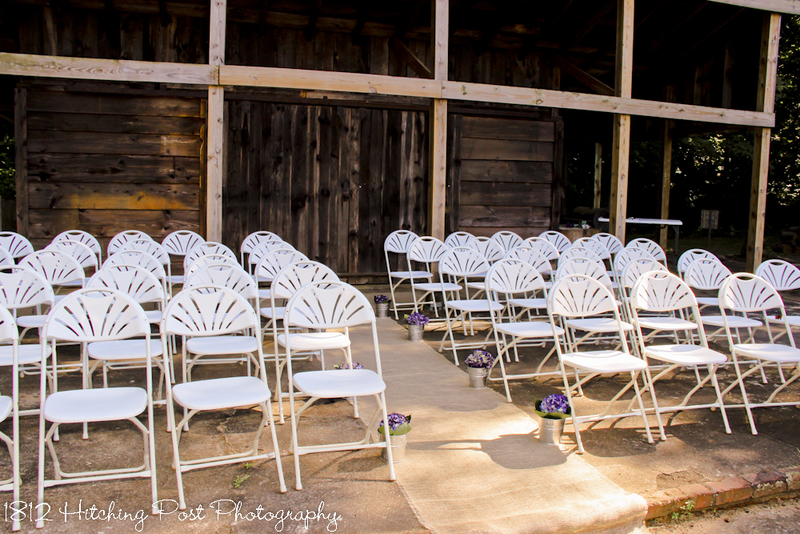 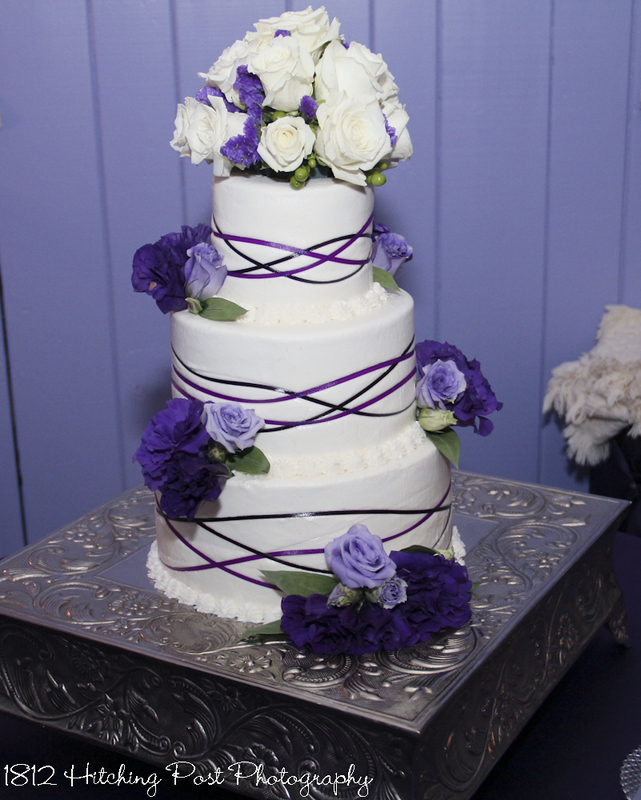 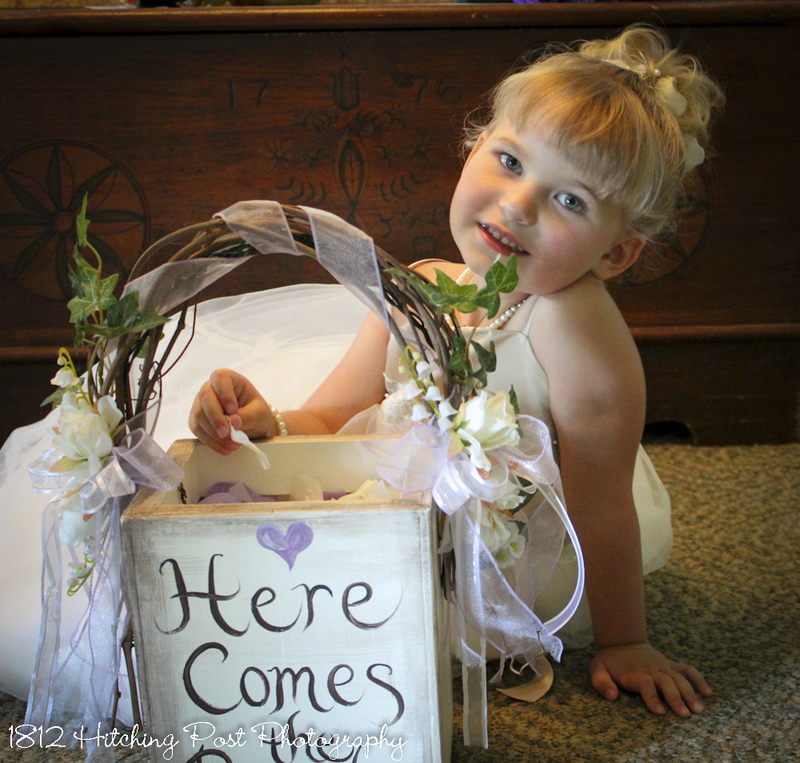 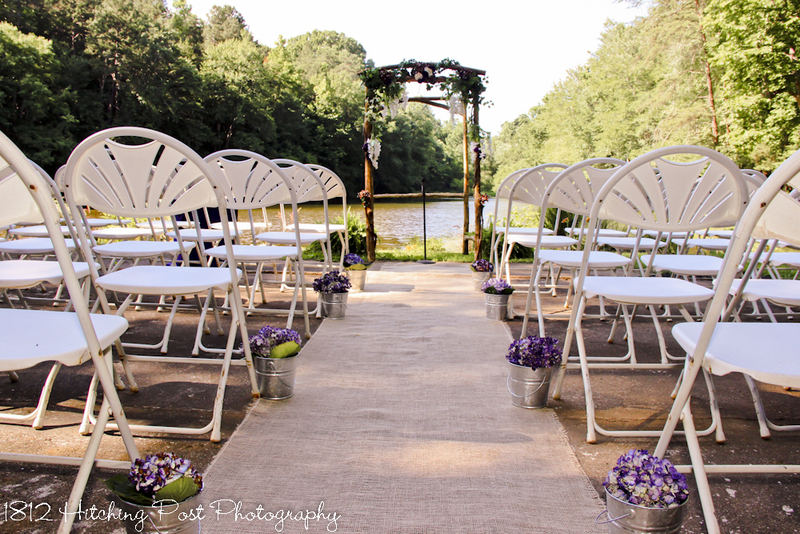 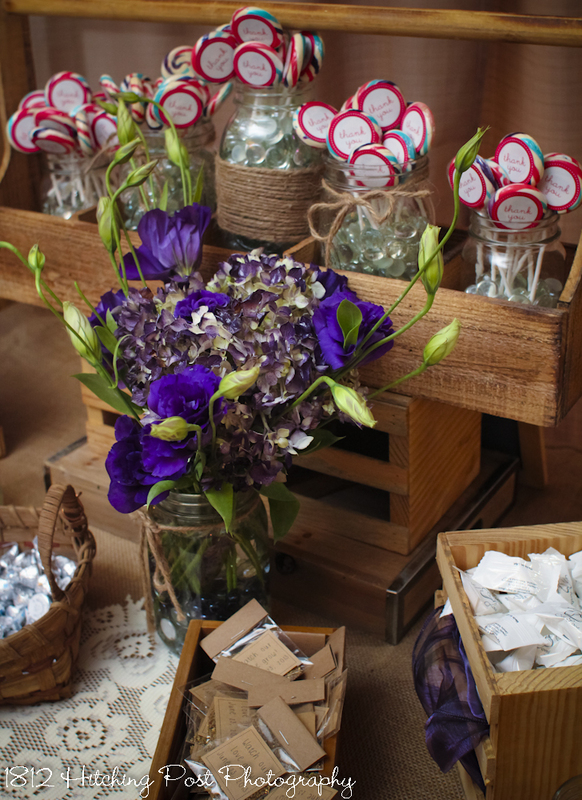 Purple hydrangeas in galvanized buckets lined the burlap covered aisle. 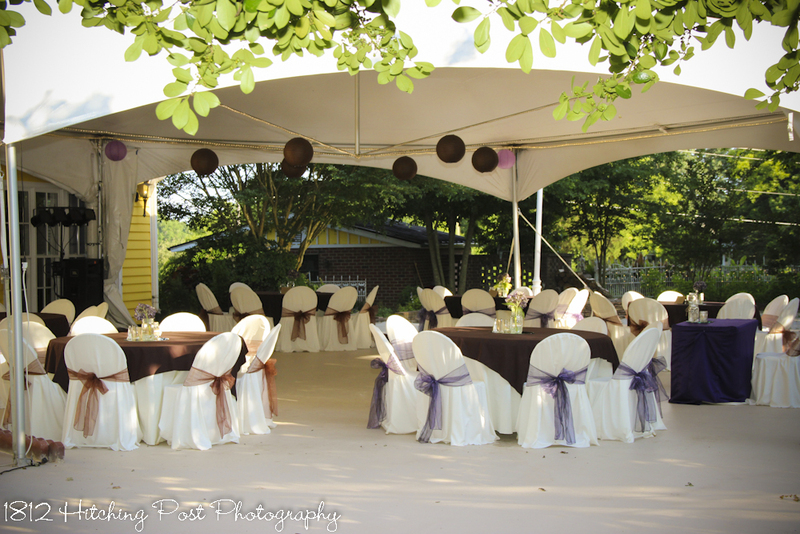 The reception was at the main house reception area under the tent. 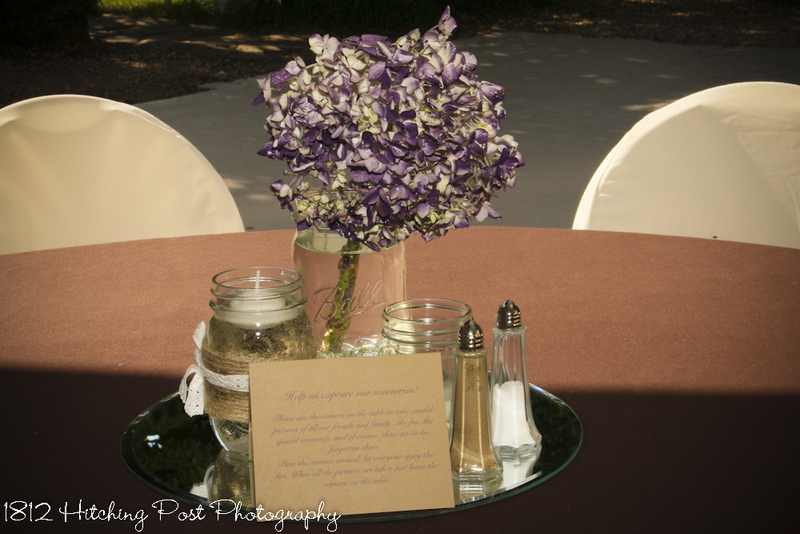 Chocolate tablecloths and purple and chocolate chair sashes and mason jar candle holders were provided by the 1812 Hitching Post. 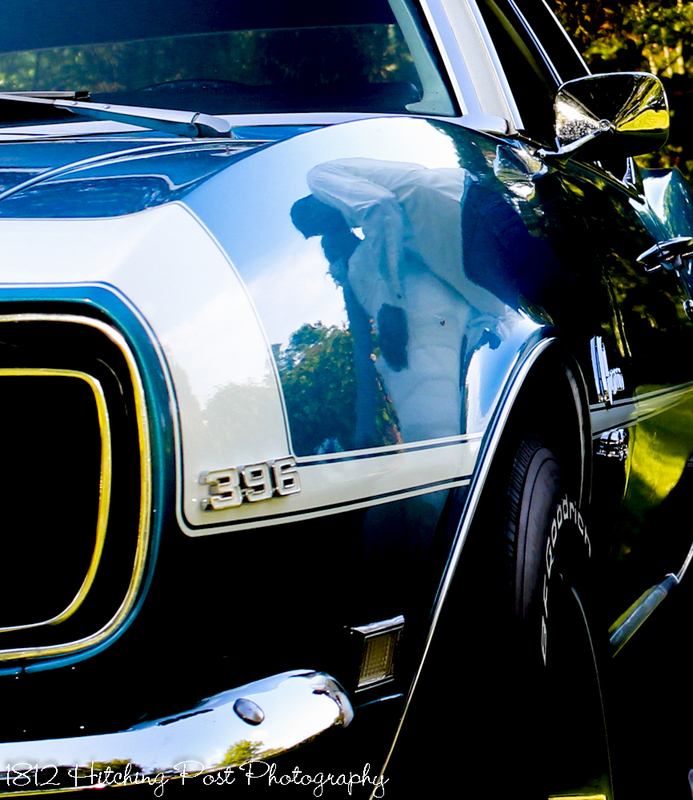 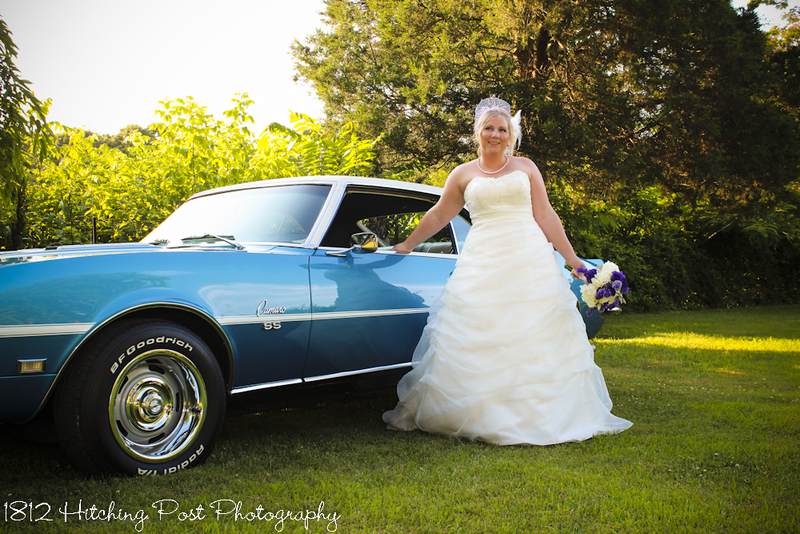 The couple had wonderful photos including the classic vehicles. 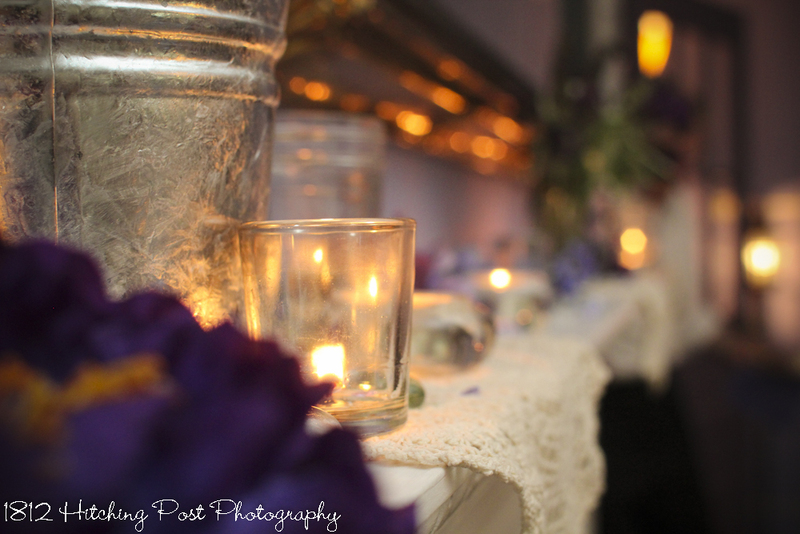 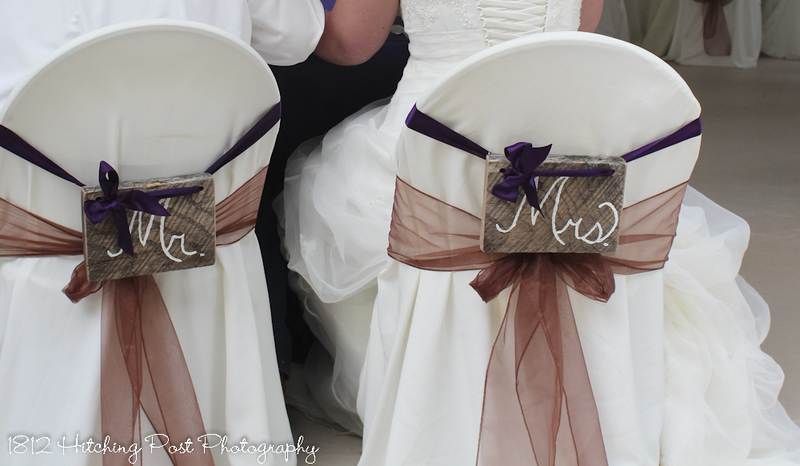 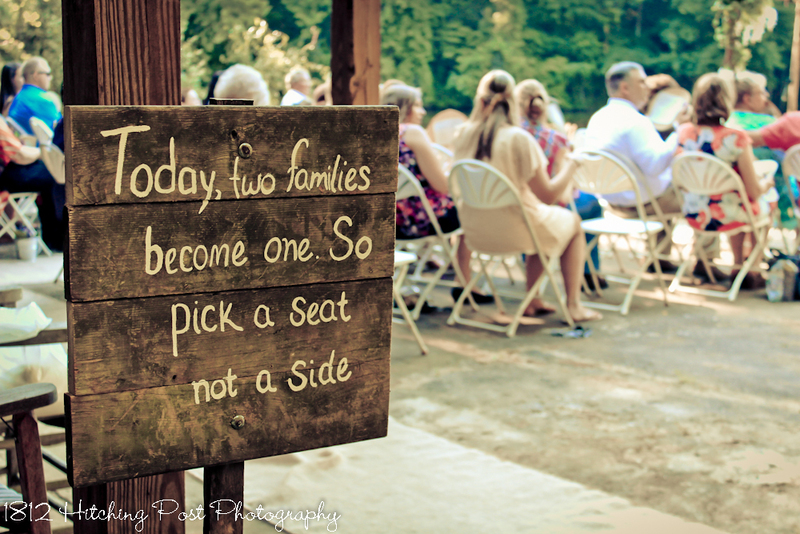 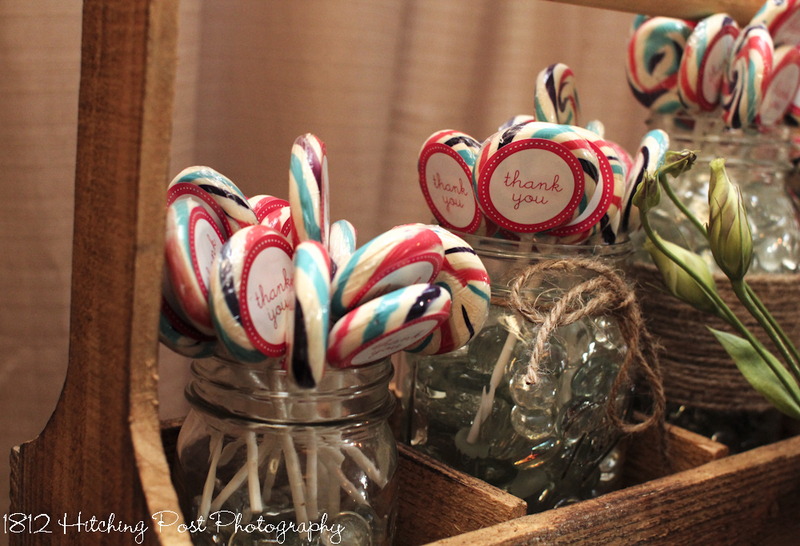 Rustic and personal touches added to the wonderful evening.